Smooth dancing in high fashion shoes. This elegant strap crosses the foot and is finished off with a petite rhinestone buckle. Top stitching around the front area of the shoe creates both comfort and great style. 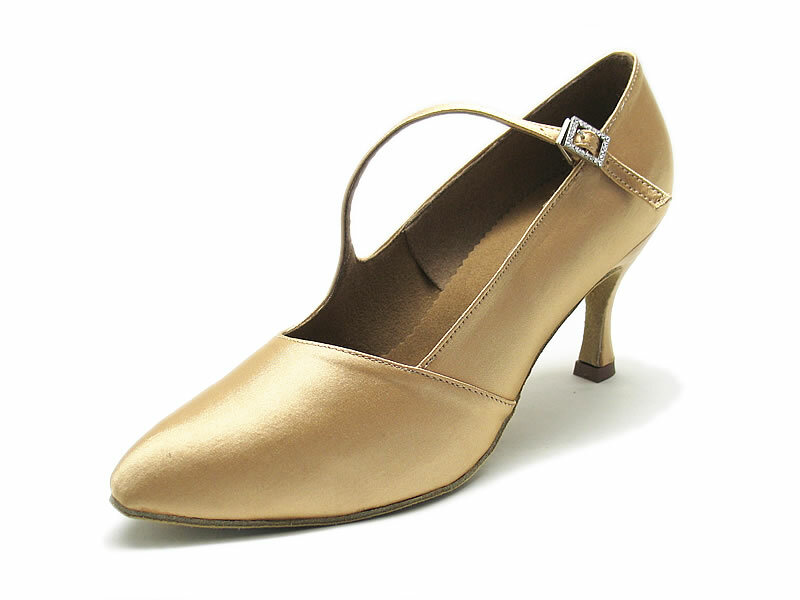 Picture shows in satin material, 3"sf heel. The color showed in this picture has been discontinued. Please check our "material and color" page for available colors.